Welcome to the apartments Hropić! Fully adjust your holiday to yourself. On Lastovo there are more than 200 km of hiking trails maintained by the Rangers Public Institution Lastovo Islands. Because of its distance and erstwhile closed to visitors, Lastovo is completely preserved in its original form. From untouched nature to the traditional way of life, its authenticity can be felt in the smallest details. Lastovo provides a deep rest in an environment that has the lowest rating of light and sound pollution in Croatia. The town of Lastovo is an old medieval village with a preserved old core, and houses dating back to the 15th century. This beautiful amphitheater town is affectionately known as "The Village". We offer you an experience of a different, more intimate holiday with the opportunity of socializing with people and nature, and adjusting your holiday completely to yourself. Take advantage of every moment of your holiday exactly as you want to. Upon your arrival, we offer you a "welcome lunch", presuming that you are hungry because the journey to Lastovo takes a long time. 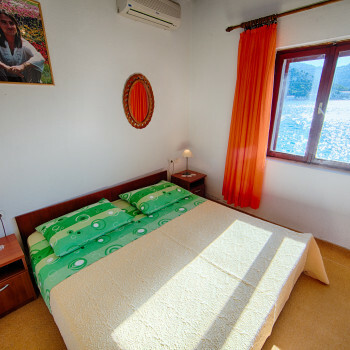 Our house is located in the bay of Zaklopatica, in a sunny area, which is a bit isolated. If you want to spend your holiday surrounded by nature and wilderness, you can find it in the environment of our house. The house itself is not completely finished yet. Despite this, in it you will find modern apartments, which will fully meet your expectations. For lovers of sun and sea, swimming is immediately available on the shore in front of the house. Our house is situated on the very coast. Although the house is still not finished and there are some construction material around the house the apartment is very beautiful, stylish, clean, cosy and located on a beautiful place. Our hosts were really great, helpful and caring! I would recommend this place to anybody anytime! La posizione dell'appartamento è eccellente, al mattino si può fare una nuotata prima di partire per le spiagge. Appartamento è molto carino. I proprietari sono molto simpatici e disponibili, la signora ci ha regalato anche una bottiglia di vino bianco veramente buono. dopo abbiamo saputo che la famiglia è specializzata nel fare dell'ottimo vino e alla partenza abbiamo preso ben 4 bottiglie :D. (lo consiglio a tutti, specialmente quello che loro chiamano prosecco). Inoltre producono tante altre cose fatte in case come una crema antibatterica che abbiamo usato per la puntura di ricci di mare e che è stata davvero molto utile! Insomma la casa è bella e loro sono Super!!! Traditionally grown, our family farm offers you everything Lastovo really is in its essence. So in your apartment, you can get fresh-picked fruits and vegetables, fragrant olive oil and wine that will make your holiday atmosphere completely different. If people do want to try the culinary arts, you can get advice, a recipe, as all these delicacies are simple and perfect for you to prepare in your apartment. If you have the desire, you can join us in the field and we'll show you the treasure that can be picked in our field: fragrant tomatoes of Lastovo, of which you will long remember the taste. You can also take a walk through our olive groves which hide many interesting secrets. To explore the island Lastovo, take some time to walk through the interior of the island, ride a bike, climb the heights of surrounding hills from which a beautiful view streches, a view which you will surely treasure in your memory. The desire to encounter it again will surely bring you back to us once again. Sunbathing in the most beautiful natural beaches in the world, the beaches that are a reflection of Lastovo wildlife, might surprise you at first. 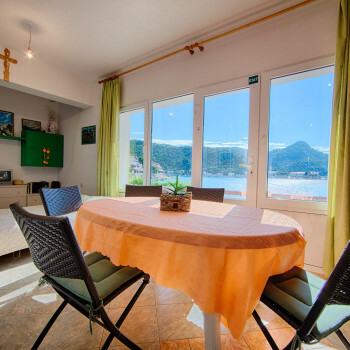 We know that you are accustomed to comfort, but comfort is something you can rarely find in the wilderness of Lastovo. Nature offers you the possibility to adjust, and the possibility to overcome barriers. You can experience this on the beaches of Lastovo. When you find your place under the sun that you really like, you will notice it is tailored according to your wishes. If you want to cruise the blue sea waves, you can rent a boat and visit the Lastovo archipelago and enjoy a tour of small islands and coves. Zaklopatica Bay is located 10 km from the port of Ubli. On the way to the village of Lastovo, after 9km you will see a markation of the settlement Zaklopatice on your left. Make a turn here and drive another 2 km to the village. At the entrance of the bay, turn right and drive another 100m. This will locate you above the family house Hropić and your apartment. We also have secured a place for your car. If you arrive on the island without your car, with an agreement, we can wait for you at the ferry port of Ubli. If you wish to contact us, please fill out the form bellow or giv us a gall @ na 00 385 (0)91 399 3199.